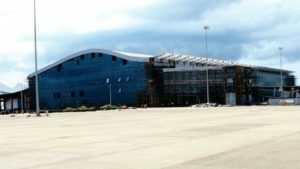 Kerala’s Kannaur city is all set to open its first international airport by the end of this year. Kannur International Airport (KIAL) will have a 4,000 metre runway and is bigger than Mangaluru and Kozhikode airport. Airport works will be completed by next month and after that flight trial operations will start. Spread over an area of 2,092 acres at Mattanur, this is Kerala’s second second greenfield airport which has been developed on a Public-Private partnership (PPP) mode after the Cochin International Airport. With the involvement of Kerala government (35%), public sector undertakings (25%), Airports Authority of India (10%), and cooperatives, banks and individual shareholders (30%), the development of the airport has been planned in phases on a modular basis. The first phase of the airport will cost Rs 1,892 crore, of which Rs 1,000 crore was the equity capital and Rs 892 crore the debt component. Once it starts operations, the airport will bear an annual traffic of more than 1 million international passengers and over 300,000 domestic passengers. In the beginning, the airport would operate 20 flights daily to 11 regional and seven international destinations. The airport will benefit people who are planning to visit Coorg and Mysore in Karnataka, and also Kerala’s hilly districts like Wayanad, Kannur and Kasargod. The airport will make use of solar energy to generate power.